Orders can be faxed to (732) 694-3804 or (732) 827-2856, emailed to us here, or phoned into (800) 877- 3308. If you email or fax us an order, please make sure you receive a confirmation email, text or phone call back from us that we have received your order. Please allow about 1-2 weeks for orders to arrive. If we stock kits for you, we usually ship in 1-2 days. Our regular business hours are from 7:30 AM until 4:30 PM(EST), Monday to Friday. Most emails will be answered from 7 AM until 10 PM 7 days a week. Claims for damages or missing boxes in shipping must be noted by you on all shipping documents before signing for merchandise that Techsource Tools, Inc. delivers. Techsource Tools, Inc. must be notified immediately. 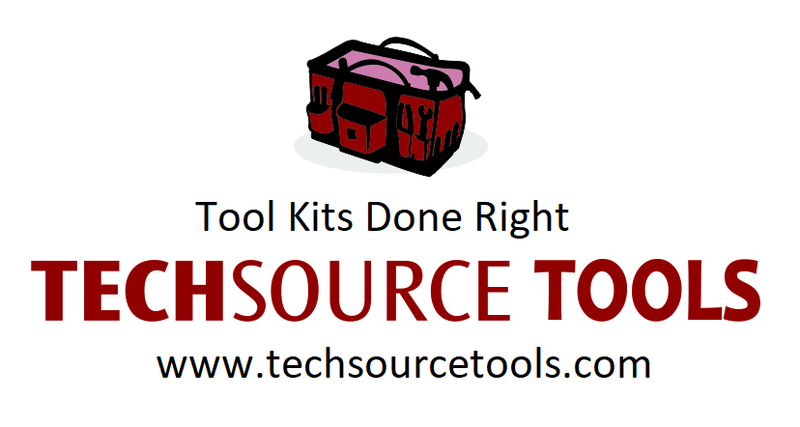 All kits must be inventoried with school staff present in order for Techsource Tools, Inc to address any missing tool issues. We check our kits 3 times for accuracy before they are sealed and shipped. The kits are then weighed for further accuracy. While the students are attending your school they need to address all tool issues through the school. Please do not send any defective tools back without contacting us first. Many times we can make the process easier for you when you call us. Please make sure that all defective tools are checked by an instructor or supervisor before contacting us to send them back for repair or replacement. We need to know what is wrong with the defective item(s) when we send them back to the manufacturer. Manifold gauge sets are comprised of many parts. Never send back an entire gauge set without contacting us first so that we can determine what part of the gauge set needs to be replaced. All of our products are covered by the manufacturer’s warranty. We do not warranty student abuse. You can also download our Policies and Procedures form here.